She'll not return at all?" 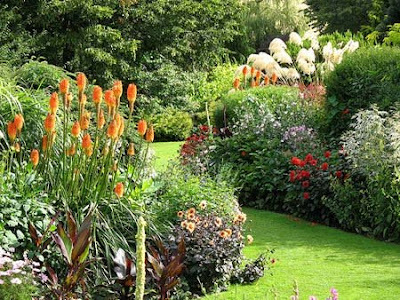 Lovely photo Cherie of an English garden in full perennial bloom. Our summer has not gone on vacation, but has not yet arrived. No doubt delayed elsewhere. She's alive and well down here.